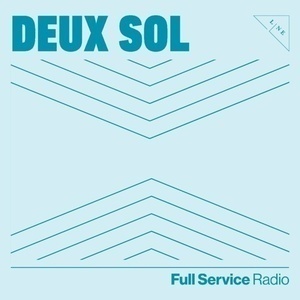 Deux Sol Podcast exposes listeners to eclectic emerging artists in the DC area and beyond. The rate at which content is both produced and consumed may feel, at times, overwhelming. Twin co-hosts Ariam and Yodit Solomon make it their mission to navigate listeners through the fast-paced and ever-evolving world of music & culture. This week, Ariam and Yodit were joined by founder of Fit Woman Always, Blein Yohannes. Tune in as they show love to the late Nipsey Hussle, and learn about Blein's fascinating story of becoming a wellness coach. Ariam and Yodit sit down with DC photographer, Mariah Miranda. Tune in as they talk Cardi B's feature film debut and Mariah's experience as a WOC freelance photojournalist. This week, Ariam and Yodit are joined by Publicist, Sofia Thonmpson. Tune in as they decode Solange's, When I Get Home and pick Thompson's brain about world of Public Relations. This week, the twins chat Oscars winners, Summer Walker’s “Girls Need Love” Remix, and Janet Jackson’s Vegas Residency! This week, Ariam and Yodit recap the Grammys, celebrate 10 years of "So Far Gone, and chat Breaking Bad : The movie. This week, the sisters are joined by make-up artist and influencer, Arfa Iqbal. Tune in as we talk about Covergirl #FullSpectrum, her go-to products, and her journery as an entrepreneur. This week, the twins are joined by writer and founder of BLCK N LIT, Priscilla Ward. The ladies chatted about Oscar nominations, muting R. Kelly, and Priscilla's journey as a writer. On this week’s episode, Ariam and Yodit talk Fenty vs. Fenty, Broccoli City’s 2019 line-up, Travis Scott’s terms for performing at the Super Bowl, and Alicia Keys hosting the 2019 Grammys. 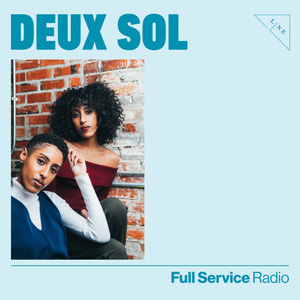 On this week’s episode, Ariam and Yodit talk New Year’s resolutions and introduce the new direction for DeuxSol Radio. Tune in! This week, this sisters talk new music from Solange and Migos, the star studded cast of CATS, and The Conner's Spin off. This week, the twins discuss “special” birthday wishes to Will Smith, upcoming Basquiat Musical, the on going Cold War that is Cardi B and Nicki, and more!